The 2016 Worcestershire County Racketball Closed took place at Stourbridge Lawn Tennis and Squash club over the weekend of September 17th/18th. It was a bumper contingent with competition in Six events including players from Boughton Park, Stourport, Stourbridge, Redditch and other clubs from outside the county. Both the Mens and Ladies Open events had been held 7 times previously and never has any player won it more than once and that tradition continued this year with two new names appearing on the coverted trophies. As always the Mens over 60 category provided some keen competition throughout the League tournament format any one could have been victorious on any different day but this year it came down to the final pool match between last year’s Champion Chris Hawken (Boughton Park) and Ian Garvey (Stourbridge). It was Garvey that held his nerve taking the match in fine style and gaining revenge for losing out to Hawken last year and in turn regaining the over 60 crown. The Mens over 50 competition also went down to the final game and saw Spencer Cooper (Boughton Park) taking on the reigning Champion Ian Hughes (Stourbridge). It was Cooper who ran out to an impressive 2-0 lead and despite awesome pressure in the 3rd set managed to hold on and take the title winning 3-0. The Ladies competed in two events over the weekend. In the over 50 category Val Molineaux (Stourbridge)was in fine form and romped home with 3 wins from 3 matches from runner-up Linda Baldwin and other competitors Sue Bartlett and Heidi Munday (all Stourbridge). The Ladies Open event was also keenly contested with again the final group game being the overall decider. Infront of a great crowd Kasia Webb and Kelly Easthope (both Stourbridge) fought out a gruelling encounter which could have gone either way but in the end Webb came through 3-1 to add her name to the list of previous winners. 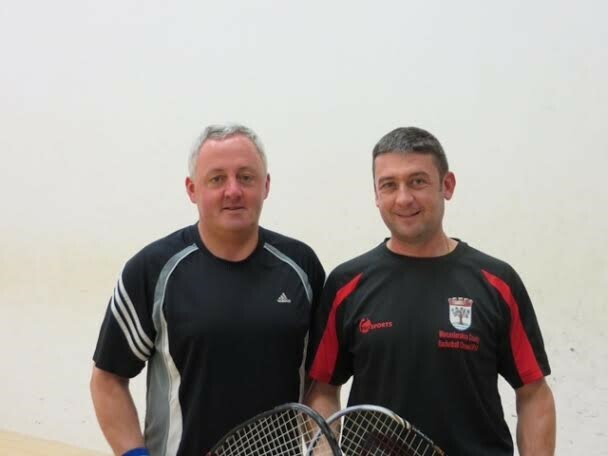 In the Mens Open Jason Russell (Stourbridge) having earlier defeated Matt Pugh (Ardencote)in the Mens over 40 competition found himself in the final of the Open against Jack Dukes (Stourbridge). Dukes had previously impressed in his Semi against Ben Bryant (Redditch) coming through 3-0 but that form could not be replicated in the final and it was Russell who took it comfortably 3-0 to become the newest name on the coverted Open Mens trophy. Special thanks to our sponsor Ian Hughes of ‘Hughes Builders’. Sue Bartlett and Heidi Munday at Stourbridge for the preparations and arrangement at the Club. Brian Gurnett for attending both days and marking the finals and to everyone else who contributed through marking, supporting and playing. 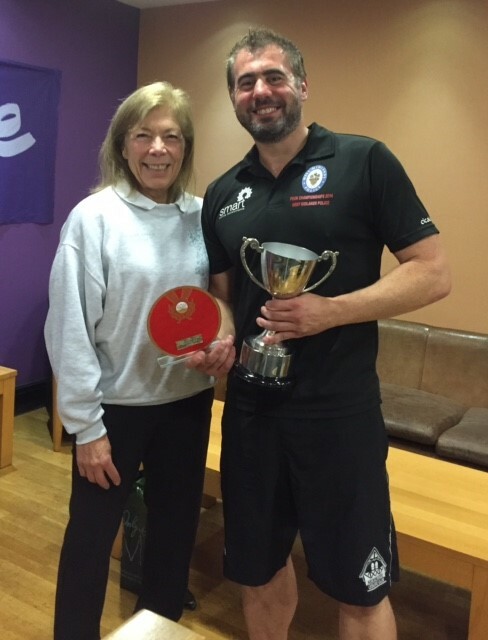 The Worcestershire County Racketball Championships took place over the weekend of October 17th 2015. It was a disappointing turn out this year which meant competition taking place in only two categories. However those that did make the trip across to Altered Images, Bromsgrove thoroughly enjoyed the social occasion. Players from Boughton Park, Barnt Green, Stourport and Stourbridge were all present representing their clubs admirably as well as Worcestershire based players who are members at clubs outside the county. The Mens over 60 category was extremely keenly contested. There were no 3-0 victories at all in an event that could have easily gone one of three ways. In the end it was Chris Hawken (Boughton Park) who rose highest notching up impressive wins over last years Champion Ian Garvey (Stourbridge) forcing him into 3rd place and then the much fancied Bill Mulholland (Edgbaston). It was a great contest that produced some epic matches. Well done Chris! The Mens Open event also had some competitive early round games but ultimately it came down to a match between Matt Pugh (Ardencote) and Trevor Widows (Stourport) which meant one way or another a new name would appear on the coverted trophy. Matt came through 3-0 to win this event for the first time and maintain the history of the Mens Open Racketball having never had the same winner twice! There were not enough numbers for any Ladies category this year which was really disappointing but I’m sure that this will change next year. It is important we support our Sport of Racketball within Worcestershire to keep this event going. The event will go on next year and we will ensure posters and entry forms are out early so please spread the word and advertise within your club! Special thanks to Paul Costello and the Altered Images staff for providing the courts and making it a really friendly social tournament and to Bett Dryhurst for her support during the event. See you all next year! The long awaited and much anticipated Worcestershire County Racketball Closed happened on the weekend of September 20/21st at Stourbridge Lawn Tennis and Squash Club. Having not had a Racketball tournament for 3 years in the county it was a great unknown as to how many would support the event but 27 players from across the county made the effort representing Redditch, Boughton Park, Barnt Green, Stourport and of course the home club Stourbridge. Play was fast and furious on the Saturday with many games going to 5 sets with the Mens Open and over 40 events being keenly contested. Play extended throughout the day and produced finalists in 7 events to compete on the Sunday. The first final up was the Mens over 40 which pitted Andrew smith (Stourbridge) against his clubs man Andy Hart (Stourbridge). The game started tight but hart won the first and then went on to run out 3-0. The Mens over 60 event was a league based competition and was comfortably won by Ian Garvey (Stourbridge) scoring 21 points. Worthy of a mention was John Bromley (Stourport) who performed admirably but through injury could not fulfil his final fixture thus handing runner up spot to Brian Gurnett (Stourbridge) who finished on 12 points. The Ladies Open event was also a 4 player league based competition that was also keenly contested. Maxine Goodhead (Stourbridge) topping the group and taking the title with 21 points but she was pushed hard all of the way by Lesley Kimberley (Stourbridge) who finished on 16 points in what was a competitive Ladies group. The Mens over 50 event saw Andrew Smith (Stourbridge) return to action in his second final of the day but it was not to be a good day for him as he went down again, this time 3-1 against another fellow Clubs man and tournament sponsor Ian Hughes (Stourbridge). On paper the game should have been closer but Smith will have to take consolation in the fact that he was the only person over the weekend who reached two finals! 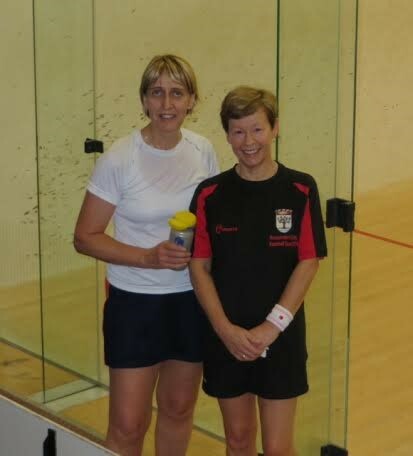 The ladies over 60 final was competed between Bett Dryhurst (Barnt Green) and Kathryn Rance (Stourbridge). Recent encounters had been close but it was Dryhurst who ran out the 3-0 winner to take the crown. The Mens Plate competition was a competitive affair throughout the weekend and indeed some of the closest encounters were in this competition. The final did not disappoint too with Richard Duff (Stourbridge) taking on Tom Peskett (Redditch) in the final. Both men had had gruelling games throughout the weekend and the final was much the same but it was Peskett who found the form and the legs at the right time to take it 3-1. 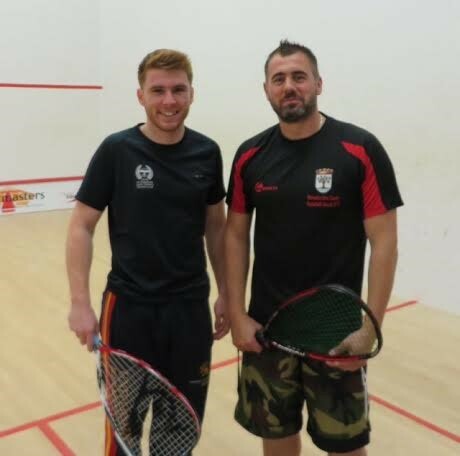 The Mens Open draw also produced some gruelling encounters but left standing in the final were Matt Jones (Stourbridge) and Matt Pugh (Ardencote). It was a real Youth vs Experience battle that produced some epic ralleys but Pugh was giving Jones some 20 years and in the end that paid dividend with Jones running out 3-0. It is also worthy of note that Jones did not drop a set all weekend. The tournament was great fun, competitive and social and a good time was had by all. Many thanks to the tournament sponsors ‘Hughes Builders’, tournament organisers Sue Bartlett and Matt Pugh, everyone who contributed to the marking including Brian Gurnett and John Bartlett, thanks to Richard Duff who provided drinks and the venue, Stourbridge Squash Club. We look forward to the future and hope the tournament will build again for next September. See you all next year! Worcestershire arrived and were expected to get straight on court against Hampshire. First up for the county was Matt Pugh (Ardencote) a victim of being still on the motorway lost the first game but once he found his stride pulled through 3-1. Simon Parry (Barnt Green) was on the alternate court, his game was fast becoming a marathon that could have gone eitherway but eventually losing 13-11 in the 5th set. Up next was Jason Russell (Stourbridge) who was just too strong for his opponent winning 3-1. Stourbridge team mate and county debutant Josh Nock (Stourbridge) was on next, he blew his opponent away 3-0 without mercy and finally another county debut was made by Jon Pitts (Energie Fitness) he battled back from 0-2 down to level the tie at 2-2 against a vastly experienced opponent but did not quite have enough in the tank to take the 5th set but still an overall Worcestershire win and the second over Hampshire in as many years. With Hampshire heading back down the M4 with their tail between there legs Surrey made no time in pressuring Worcestershire to play earlier. Fresh from a 4 hour break and having substituted there only previous losing player they proceded to try and put Worcestershire to the sword and early on it looked a formality with an injured Matt Pugh and Jason Russell both going down 0-3. Simon Parry up next, another mammoth game ensued but this time he took the 5th set 13-11 giving the county hope. Debutant Josh Nock then proceded to demolish his opponent 3-0 which levelled the tie at 2-2. Despite the partisan crowd and markers the whole day had come down to the final match. Jon Pitts battled well but despite a titanic performance was eventually was sunk by his experienced opponent. To take this tie to the final match of the day was a tremendous effort by the Lions of Worcestershire who must feel proud at there efforts having only missed out on promotion on the very last game and giving a confident Surrey side a massive scare. Worcestershire now move into the runners-up pool in February where they will be guaranteed a 4th-6th place finish. Leaps and bounds above last seasons ‘bottom of the world’ tie away in Shropshire. Special mention to man-of-the-match Josh Nock who won 2 matches without conceding any games. Worcestershire were well represented at the recent National Racketball Championships on the weekend of May 3/4/5th 2011 at Edgbaston Priory with 6 entrants all performing to the best of their abilities. Bett Dryhurst won the Ladies over 55’s title winning her games impressively by not being on court for more than 20 minutes in any of her matches or dropping a game, she defeated Linda Smith (Devon) in the final 3-0 (13/11 11/7 11/8). The Mens open draw was not kind to the County representitives but Worcestershire should be proud to have had 3 come through qualifying to be in the first round proper(last 32). Jonathon Pitts lost 3-1 (11/6 11/7 16/18 11/9) against former National Open semi-finalist Anthony Graham (Gloucestershire). Jack Lubke lost 3-0 (11/2 11/6 11/3) against the UK’s ranked number 1 player Dominic Hamilton (Yorkshire) and Matt Pugh lost 3-1 (11/8 11/9 3/11 11/8) against Squash pro Joel Hindes (Derbyshire). In the Mens o35’s Matt Pugh won through against some local rivals from Shropshire and Leicestershire to reach the semi-final where he lost to eventual winner Matt Baker (Devon) losing two of the games via tie-breaks (4/11 12/14 10/12). Michael Sygowski represented in the Mens 055’s and Bev Pegg narrowly lost in the semi-final of the Mens o65’s against John Houghton (Warwickshire) 3-1(4/11 11/8 11/7 11/9). National Racketball Counties Division 2 completed on Saturday 19th February at Shrewsbury Rugby Club. New boys Shropshire took on former Division 1 side, now fallen from grace, Worcestershire, in this local derby game to see who would get the honours in this Division 2 fixture. It was a close run match that could have gone either way but the experience in the Worcestershire side managed to give them the important edge. The number 1 string game was the traditional war of attrition with much improved fitness guru Jason Russell (Stourbridge) eventually running down Mervyn Davies (Sh) 3-0. Number 2 string was a much closer event with Matt Pugh (Edgbaston) coming from behind to eventually wear down his younger opponent Andy Davies (Sh) 3-2. Number 3 string was also a close affair with Worcestershire again edging it when Paul Barnsley (Stourbridge) beat Guy scott (Sh) 3-2. Worcestershire debutant Nick Wilkes (Redditch Rugby) also came from behind to beat Don Wallington (Sh) 3-1 at number 5. Worcestershire winning 4-1 thus condemning Shropshire to the wooden spoon this seaon. Premier North – Worcestershire, Warwickshire, Yorkshire and Derbyshire. Premier South – Sussex, Buckinghamshire, Kent and Hampshire. Division 1 – Dorset, Devon, Merseyside, Cambridgeshire and Leicestershire. Worcestershire travelled to Hampshire in May to compete in a relegation playoff in the premier division against Hampshire, Buckinghamshire and Derbyshire. Unfortunately, Derbyshire had to withdraw, leaving a triangular match to be played on the Saturday. Worcestershire were the overall winners, claiming a respectable fifth place in the premier division. The team members were: Matt Pugh ( Edgbaston priory/ Stourport); Simon Parry (Edgbaston Priory / Barnt Green); Duncan Snow (Stourbridge); Paul Barnsley ( Stourbridge) and Mark Cook (Barnt Green). THE inaugural Worcestershire County Closed Racketball Championships hosted by Stourbridge Lawn Tennis and Squash Club proved to be a smash hit. More than 50 players from across the county competed in the competition. The weekend-long tournament saw Stourbridge’s Duncan Snow run-out as men’s open champion after defeating Stourport’s Matt Pugh in the final. Stourbridge’s Jo Moseley claimed the ladies open event and the ladies over-40s title after beating Barnt Green’s Bett Dryhurst in both finals. The men’s over-40s crown went to Paul Barnsley after he beat Mark Cook from Barnt Green. 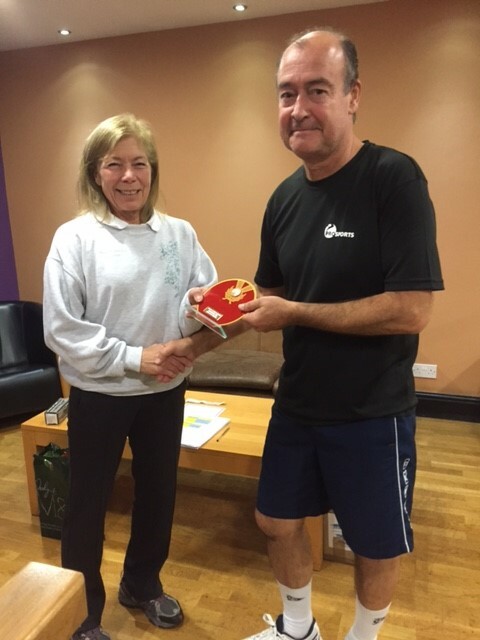 Jeff Lord won the men’s over-50s title in an all Stourbridge final against Graham Crookson. In another all Stourbridge final Colin Pegg beat Pete Mumby to win mens over-60s crown. The ladies over-50s winner was Stourbridge’s Linda Wright, who defeated Philippa Pegg, also from Stourbridge. It was an all Stourbridge affair in the ladies over 60s final with Sonia White defeating Jean Dewar. Stourbridge Lawn Tennis and Squash Club, racketball chairman, Christine Allen said: “Our thanks go to Duncan Snow and Pete Mumby for organising this very successful event, England Squash and Racketball for their help and the sponsors of the event – Worcestershire Squash and Racketball Association.